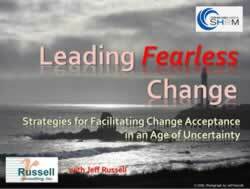 Leading Fearless Change (Oshkosh) – Russell Consulting, Inc. Leading Fearless Change! - How do you fearlessly lead and sustain a change initiative? 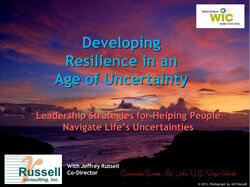 Jeff shared RCI’s model for leading fearless change at a meeting of the Oshkosh chapter of SHRM. Click on the graphic above or here (Leading Fearless Change) for a PDF version of the PowerPoint slides. Contact RCI for more information on our leading change workshops or buy our books Change Basics and Leading Change Training. 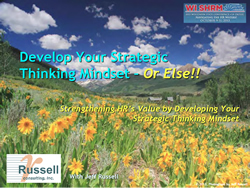 Next post Develop Your Strategic Thinking Mindset – Or Else!